The fascia board is the one mounted at the point where the roof meets the outer walls of the house and is sometimes called the Roofline. The fascia is fixed directly to the lower ends of the roof trusses and usually does all the work of supporting the lower edge of the bottom row of tiles. The fascia board also carries all the guttering. The soffit board is tucked away under the fascia board. It is usually the board that you see most of from street level. The soffit can be ventilated to allow the flow of air into the roof area. Alternatively, ventilation can be provided over the top of the fascia board. 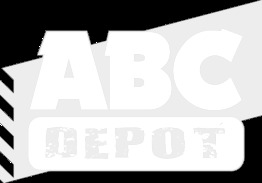 At ABC Depot we can provide a range of plain Fascias and Soffits from our supplier Freefoam along with the accessories required to ensure a neat and professional installation. The Freefoam plain fascia system also comes in a wide range of solid colours, woodgrain finishes and fascia widths.